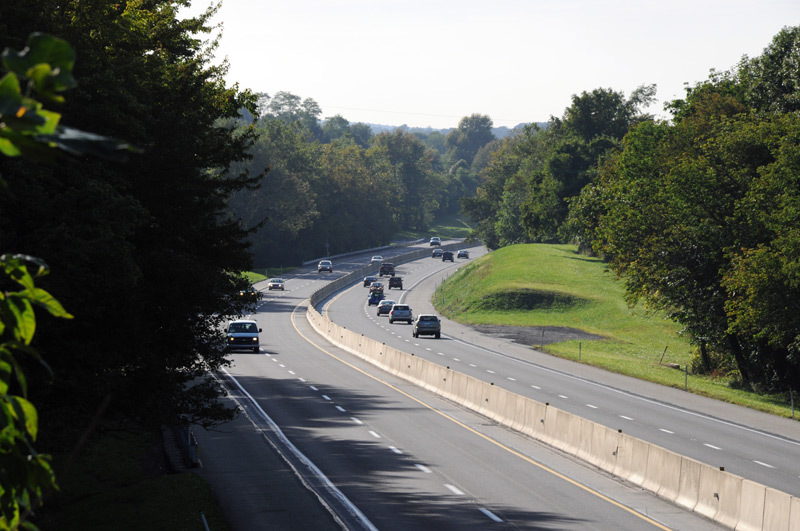 Pennsylvania Turnpike – a major artery through the township. Download map in PDF format. The following roads are state-owned and maintained by PennDOT. 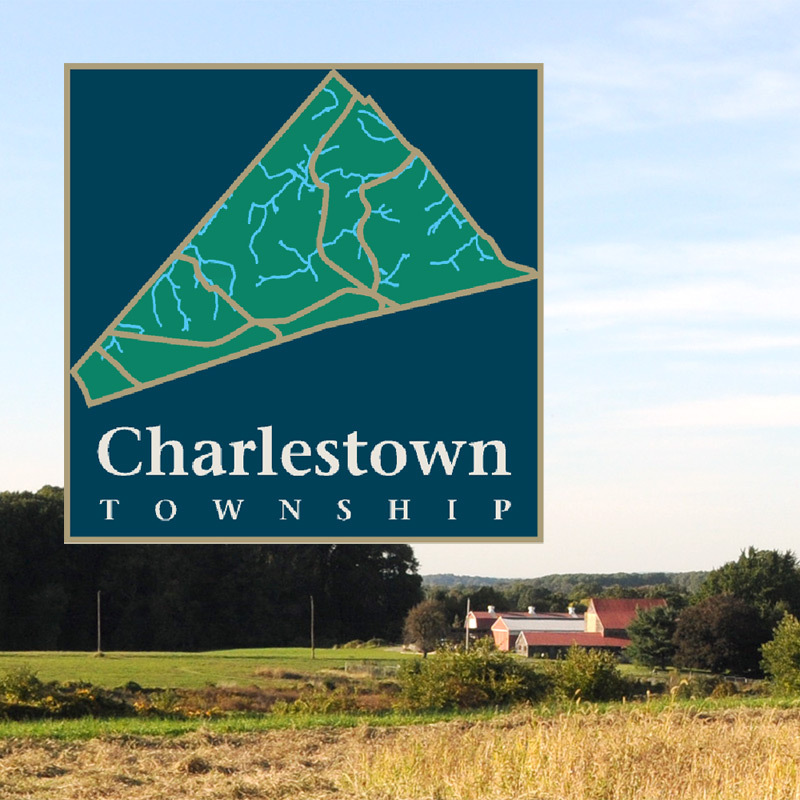 Township Roads are maintained by Charlestown Township except where an adjacent township is indicated in parenthesis. Private roads are maintained by homeowners associations or individual property owners. Our basic snow removal policy is as follows: the major collection roads are attended to first, with the smaller residential streets following. When conditions warrant it, a mixture of road salt and anti-skid material is spread on the road in layers at the beginning and at stages throughout a storm. When snow accumulates, the roads are plowed with a single pass in each direction. After the initial plowing, the plow will return to widen the cleared area as much as possible. To avoid frustration, we recommend that you don’t shovel or plow the end of your driveway until the road is cleared. Do not park on the street until the roads have been completely cleared. Drive carefully at a minimum speed. Kindly check on your neighbors who live alone. Green stakes were placed at storm water inlets along our streets so they could be quickly located by our road crew for maintenance. If you removed any of these stakes, please replace them or ensure that the inlets they were meant to locate are kept clear of leaves, debris, snow and ice. Be patient with us and bear in mind that our primary concern after a snow storm is to ensure that each and every road is opened for emergency vehicles. 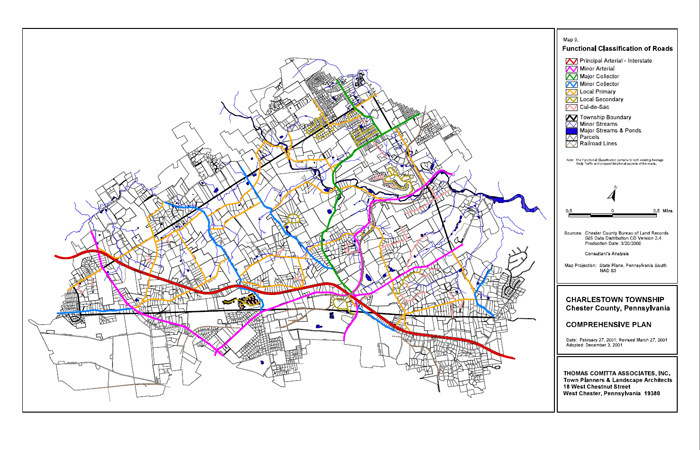 After this is accomplished, we have more time to address additional widening and complete clearing of the cul de sacs. Check the list above for state roads maintained by PennDOT. If you have a maintenance complaint regarding a state road, you can call PennDOT’s Chester County Maintenance number at (484) 340-3200. For road questions and issues in Charlestown Township, our Public Works Superintendent is available to assist you at any time. Call PennDOT to report problems or maintenance issues with state-owned roads. Total Turnpike Reconstruction and Widening Project website.